A solution built for the rental industry, FormsTrack is the app to stop customer disputes over damage before they start. Using pictures and signature capture to create a timeline of equipment condition that proves when damage occurred. 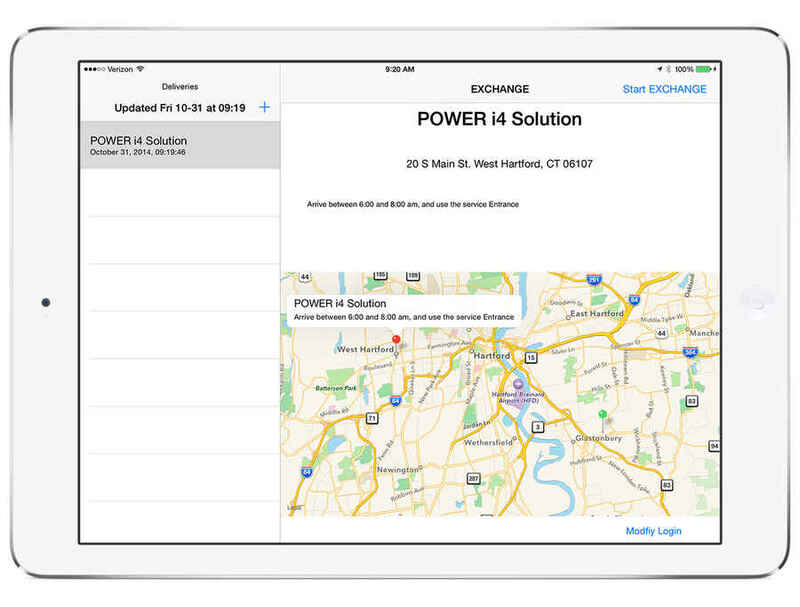 Drivers use an iOS device to collect information preventing loss, damaged, or illegible documents. Are you losing money from damage to your property that can’t be proven? FormsTrack helps you collect pictures and condition reports, which can be easily recalled for comparison after each transaction. Are your contracts spread out across geographical region? Do you have problems with paper documentation being damaged, illegible, or lost? All information is captured electronically and stored in the cloud. Over the years we have all heard from our vendors, and said many times ourselves to our customers, “We want this to be a partnership”. I can’t agree enough with this statement when talking about Power i4 Solution. They are always there to answer any question, regarding FormsTrack. I can always count on Joe or Don to get me an answer I need. The words innovative, professional, and responsive are just a few that come to mind when talking about the team at Power i4 Solution. They are a pleasure to work with and I view them as part of our team. FormsTrack gives you immediate proof of delivery with digital signatures, GPS coordinates, pictures and more.The iPad app updates your IBM i database as soon as it has signal for real time delivery information. FormsTrack automatically downloads the last pictures taken of your equipment, so you can compare, and show your customer how it has changed. The pictures are time stamped and also display the printed name and signature of the last person to sign for them. Learn more about Power i4 Solution and our software by checking out our Blog!